Literature | Stand Up and Speak Out! One of the things I love about Good Reads is that users can set reading challenges every year. This year I had to up my goal a few times because I read a lot of picture books. The challenge doesn’t make you specify what kind of books or number of pages; it just counts the quantity of books. As of this posting, my “to-read” shelf is at 631 books.1 I can’t possibly read that many books in a year; I fall asleep when I read (hey, it relaxes me!). Still, on average it takes me a week to get through a 300 page book. So a realistic challenge for me would be to read 52 books in 2014 (not including picture books). So, just over half of the titles I picked are young adult and teen. This really doesn’t surprise me since it’s what I read most of the time. A lot of the titles, from all the genres, were books that I bought on impulse6 because I HAD TO READ THEM RIGHT AWAY. Some I’ve had for years. Others, just a few months. Either way, I thought I should whittle them down first before trying to accumulate more, even if they are just digital. The ones I don’t currently own, I will rely on getting from the library. Now that I’m in a smaller town, access to free books is a bit more limited. Indy had over 20 libraries to pull from so almost everything I wanted was available. Here, not so much. There are only a handful of libraries at my disposal so my choices are more limited. Should I not be able to get a title through the library and am unable to afford to buy a copy, I will substitute the title for another in that genre. And if when I get through my list, I’ll refill my coffee mug and start a new one. 3. I was supposed to have read this for a class in college. I don’t remember which class and the only thing I remember about the book was the beginning, which I liked, so I think that I didn’t actually finish it. Oops. 4. 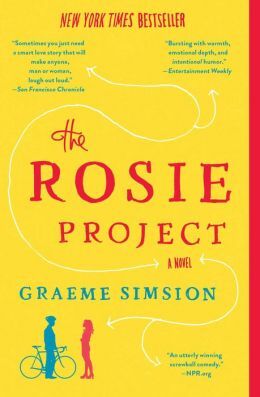 I want to read this before I see the movie, which is set to release in theaters in March. 5. It’s been over two years since the first book, Miss Peregrine’s Home for Peculiar Children, came out and left its readers hanging off a cliff! 6. No, Mom, I don’t own ALL of the books on my list. Just most. I worked in the children’s department at a bookstore for two years before I made the move to be near my sister and nephew. It was those two years that prepared me not only to tolerate tantrums but to know a good children’s book when I see one. I’ve read several young adult* books that I will share when José is old enough, but he is still of the age when one is read to and picture books are way to go. As I posted previously, my friend Lisa has a picture book blog, which I like to use as a reference for new and classic picture books. I hold her opinion high so if she says it’s good, then it must be. Another reference I’ve recently found is The Barnes & Noble Guide to Children’s Books by Kaylee N. Davis. It was published in 2012 so there are books that were published this year that aren’t listed. The book breaks down into sections for different age groups as well as different non-fiction topics. It then lists the Newbery, Caldecott, and Coretta Scott King medal winners from their inception until 2012. As I find, read, and share picture books with José, I will post quick reviews of my (and hopefully his) favorites. 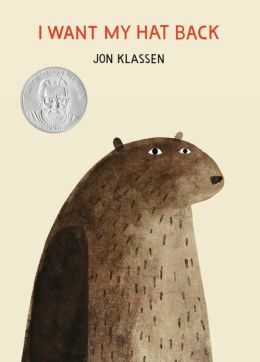 In I Want My Hat Back, a bear goes to different animals in the forest to see if anyone has seen his hat. Everyone says they haven’t but when the bear starts to describe the hat, he realizes where it is. There is a surprise ending that will have both kids and adults laughing. This Is Not My Hat won the 2013 Caldecott Medal. The story is about a little fish who stole a hat from a very big fish. 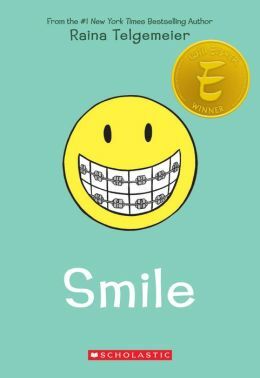 The book teaches kids sarcasm and irony, my two favorite things. I once had a customer who said that the illustrations were awful as she quickly flipped through the book, and that no kid would like something so dark (color-wise). José owns this book (thanks to Tia Liz) and enjoys looking at the pictures. It just goes to show you, don’t judge a book by its illustrations (especially when said book won the highest achievement for children’s illustration). This was one of my favorite books when I was growing up. 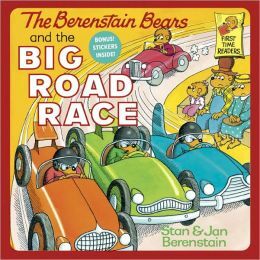 I had a lot of the Berenstain Bears books, but I was drawn to this particular one because of the rhythm and rhyme. It’s also a favorite of José’s but I think it has more to do with the race cars and “vroom!” noises they make than anything. I’m ashamed to say that I didn’t read this book until recently. A good friend of mine bought it, along with a few other books, for José. I hadn’t even seen the movie. I knew about it, of course, and its sequel Pickles to Pittsburgh, but that was it. When I finally sat down and read it, I not only found a deliciously funny story, but succulent and fulfilling illustrations as well. If you’ve read the book but never took a good look at the illustrations, do so. There’s a lot of humor in the background. A kid notices that his hair comes out in his comb and that fuzz is coming out of his belly button. To him, it means only one thing: the glue holding him together is falling apart! This book is a quick, funny read. The illustrations are colorful and fun, as they depict impossible things, like the kid’s head falling off or his arm coming loose. 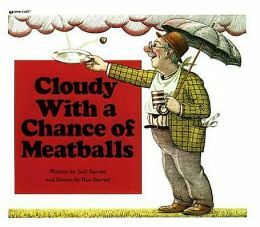 As with Cloudy With a Chance of Meatballs, Parts has a lot of humor in the illustrations. It also has rhythm and rhyme, making it a great “just one more” book at bedtime. There are two other parts to the series: More Parts and Even More Parts. I can’t wait to get them from the library! Castle Glower is no ordinary castle. Its alive, or as alive as a castle can be. On Tuesdays while King Glower is busy hearing his subjects, the castle rearranges itself to stave off boredom. Sometimes it even builds new rooms. 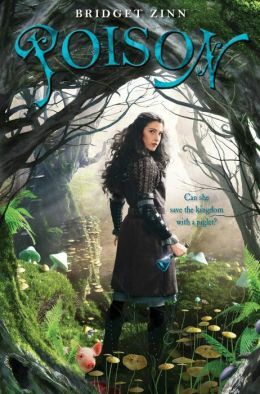 Princess Celie, the youngest of the four royal children, has a special bond with the castle; it seems to favor her. Perhaps it’s because she’s the first person in its long history to attempt to draw a map of the castle, but no one knows for certain. What is obvious, though, is that Castle Glower helps Celie, along with her sister Lilah, brother Rolf, and friend Pogue, when the king, queen, and eldest son go missing. The royal council declares them dead, making 14-year-old Rolf king, but the children don’t give up hope so easily. The castle helps them sneak around and spy on guests to see if they are friends or foes. 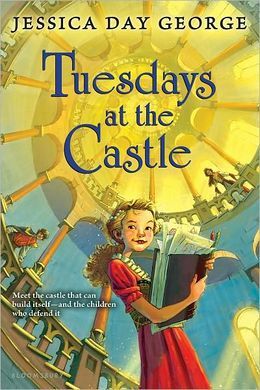 Although Tuesdays in the Castle by Jessica Day George is a children’s book, it captures the hearts of all ages. The writing is light but the action is packed and there’s comedy throughout. The book was a fast read for me, but I enjoyed every bit of it. Prince Lulath was a particularly fun character because his English isn’t very good and he always has his four precious doggies with him. Celie is the main star of the show and readers will be drawn to her kind heart and loyalty to her family and Castle Glower. The sequel, Wednesdays in the Tower, is set to be released May 7, 2013. I had the privilege to read a digital ARC. In the second book, the king, queen, and eldest son Bran have returned to Castle Glower. This time the castle shows Celie a tower with no roof and a rather mysterious occupant – an egg. It’s no ordinary egg, though. It’s huge and orange, like the color of flame, and is hot to the touch. At first Celie thinks it might be a dragon egg, but soon she learns that it’s actually a griffin egg. Griffins were thought to be mythical creatures, but Celie knows that it is not so. 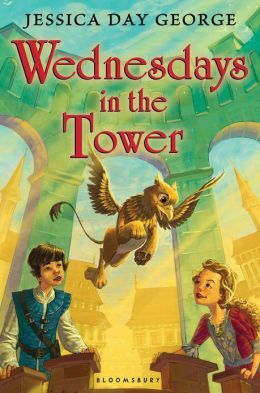 Bran, Pogue, and Rolf all help Celie gather information about griffins, from books in the castle library to old tapestries hanging on the wall depicting humans riding griffins in battle. They know that all of this ties into the history of the castle, where it came from (legend has it that it just appeared one day), and why it has started acting strangely. They just need to figure out how it all ties together. Again, the writing was light with just the right mixture of action, comedy, and mystery. The history of Castle Glower starts to come to light in the sequel, as well as its capabilities. Celie starts questioning where all those rooms come from on Tuesdays and where do they go when the castle gets rid of them. Many readers probably asked the same questions when reading Tuesdays and George found a good way of addressing those questions without giving everything away right at once. In fact, she doesn’t give everything away in the book, but leaves it with a cliffhanger, an open ending just begging for another sequel. Which brings me to my totally selfish whine: I want to know what happens! The next book likely won’t be out until summer of 2014. I can’t wait that long! Why did I foolishly pick up the first book (and enjoy it, along with the second book) when the series is still being written? Argh! Happy First Day of Spring!. The above link is to a blog written by my dear friend, Lisa. It is dedicated to picture books. I always love her recommendations – they are always on the mark! Please check out her blog! Back in February, I posted that I had a goal to edit 60 pages of my novel by the end of the month. Seeing as it’s now late March, I thought I should update my readers about said goal. Alas, I did not get 60 pages edited. It was more like 10. I hang my head in shame, but not for so long as to deter me from continuing on. Editing has been the longest part of this process (I’m talking years here) and while I’m editing, I’m coming up with more and more ideas. I did take a good step toward checking continuity by creating a chart with each character’s first and last name, her main story, and other stories she shows up in. This has already helped tremendously as I noticed I’d given one character three different last names! Oops! I also decided to write an epilogue. For those new to the blog, I should explain a little about my book. It’s called About Last Weekend and it takes place over a weekend. Each “chapter” is a story with one main character. Other characters from other stories come and go so each story is connected with one or more other stories. Some stories take place on Friday night, others Saturday, some Sunday, and a select few over all three days. The epilogue will take place on Monday morning and the characters who survived the weekend will make an appearance. So far, I’ve written a page and a half of the epilogue but more ideas are coursing through my brain! As always, I’ve been trolling book websites, including my favorite, GoodReads. Publishers list giveaways of ARCs (and some final copies of books) there so that any member can enter into a drawing to get a copy. I have to do a little more research, but I think I might be able to list my own giveaway there, perhaps to entice people to read my book and review it. I will post about this when the time draws nearer. Finally, I cannot end this post without thanking my dear, loyal, PATIENT friend Mike. He is the one who gifted me the publishing package 4 years ago. I will finish this novel, Mike! I promise!